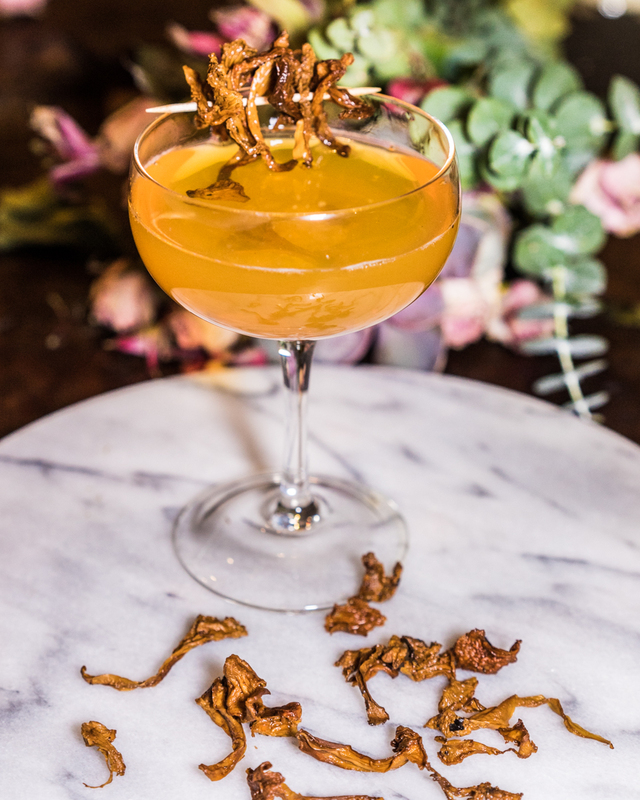 In a coup or martini glass, combine chanterelle infused gin and vermouth. Since the gin has been refrigerated, there is no need to shake it with ice. Garnish with a toothpick of gin-soaked chanterelles.